New York Times bestselling author, David Bach has helped millions of couples plan for a future they love with more than 7 million of his books in print. 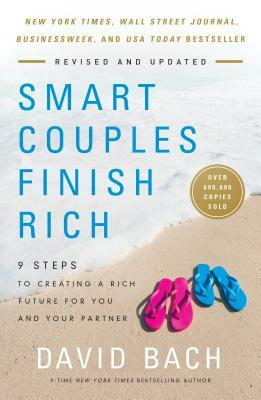 And now, completely updated and revised, Smart Couples Finish Rich, America’s favorite money book, is back. You’ll discover the latest techniques to live a life as a couple, where your values align and your money decisions become easier. Whether newlyweds, a couple planning for retirement or already retired, this timeless classic provides couples with easy-to-use tools that cover everything from credit card management to detailed investment advice to long term care. Together you’ll learn why couples who plan their finances together, stay together! DAVID BACH is the author of nine New York Times bestsellers, including The Automatic Millionaire; Start Late, Finish Rich; and Smart Women Finish Rich. Smart Couples Finish Rich spent years on the national bestseller lists when it was originally published, and was named the #1 Business book of the year. Today, Bach is the co-founder of one of America’s fastest growing financial firms, AE Wealth Management. A regular favorite in the media, Bach has appeared more than one hundred times on NBC’s Today to share his strategies for living and finishing rich. Visit his website at www.davidbach.com.